Many banks and lenders are easing credit standards on bad credit mortgage programs making loans more available for home buyers and homeowners in 2018. There are still millions of renters looking to buy at an affordable rate and existing homeowners seeking to refinance with the goal of reducing their housing expenses before interest rates rise. The interest rates on mortgages with bad credit scores remain surprisingly low and the lending standards are more flexible than in previous years. Shop trusted mortgage lenders that specialize in home mortgages for bad credit. 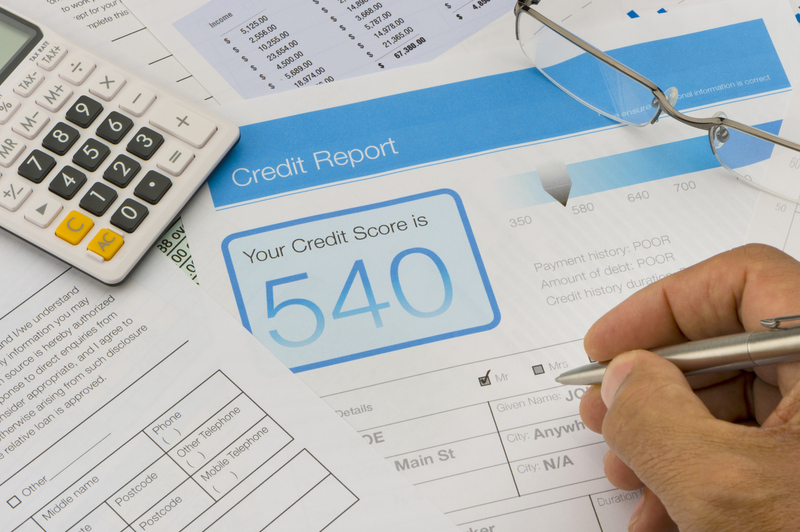 FHA insures mortgages for people with bad credit scores as low as 500. VA guarantees home loans with no minimum credit scores. Private lenders offer hard money financing with no credit score rules. Subprime lenders and brokers provide home financing with easy credit standards and alternative income documentation. New reports around the country indicating that mortgage lenders are easing credit requirements on many home loan programs in 2018. For potential home owners who have low credit scores, late payments or a high amount of revolving debt, there were more options this year than in years’ past, as many bad credit mortgage lenders arise in the marketplace. These types of higher-risk financing are usually referred to as subprime financing, and you need to understand the basics of bad credit mortgage loans to improve your odds of getting one. Naturally a subprime or mortgage loan for bad credit will carry a higher interest rate because there is a higher risk for the investor. However, how high your rate will be could vary a great deal depending upon your credit profile. For example, your lender will take a close look at the types of delinquencies that are on your credit report. If you have shown late rent or mortgage payments in the last year, this is more damaging than a late credit card payment. You can help to increase your odds of getting a subprime mortgage by making sure you have no late housing payments on your report for at least a year prior to applying. And two years is better! You likely already know that the best rates go to the people with the highest credit scores. If you have a 700-credit score, you will get the lowest rates and have the most bargaining power. If your credit scores average between 620 and 679 you will need to be able to demonstrate some compensating factors such as a low debt to income ratio or a stellar work history. In some cases, if you have credit scores averaging above 620, you could be in a good position to qualify for a competitive interest rate if you have strong income that can justify past problems reflected in your credit report. If you have scores between 500 and 620, you may need to find subprime mortgage lenders and bad credit mortgage companies to discuss alternative lending options that allow your credit scores. To increase your credit score, get your debt under control and pay your bills on time. Also make sure that your credit report does not have any errors. It is very common to uncover errors on your credit report and getting these mistakes fixed usually makes your scores rise significantly. You should get your credit reports from the three major credit bureaus – Experian, Equifax and TransUnion. Whichever bad credit mortgage lender or subprime broker you select, you always will have an easier time getting approved at a competitive interest rate and pay less in closing costs if you follow these tips previously mentioned. What is the Required Credit Score for a Mortgage in 2018? Defining what would be considered a bad credit score depends on the lending company and what kind of risks they take. For example, if a mortgage company focuses on conventional mortgages for people seeking the lowest possible interest rate, they may consider anything below a 660 bad credit. Whereas a company that is FHA approved may think that bad credit scores are applicants that have credit scores under 580. However a company that considers themselves a bad credit mortgage lender may believe that bad credit scores are for people that have fico scores under 500, because they find a way to get people approved for bad credit FHA loans if their score is above 500. Remember that with credit scores, perspective and niches define the definitions of good, fair and bad credit loan programs. In some cases, mortgage loans for bad credit could have a balloon payment or a prepayment penalty. The prepayment penalty is a fee for paying off the loan before the end of the loan term. This could be incurred if you sell the home or you refinance. With a balloon payment, you would have to pay off the entire loan at the end of a certain period, often five years. If you cannot pay off the mortgage, you have to sell it or refinance. If you cannot do either of these, you would lose the house. In most cases, private money and government lenders that offer bad credit mortgage programs do not charge penalties for early-payments, but that doesn’t mean you don’t read the fine print. It pays to shop 2018 sub-prime mortgage lenders and brokers, even if you have below average credit scores. Under the Trump administration, we could see a loosening up of some of the fees and restrictions with subprime mortgages, but we will have to see what legislation comes out of Washington DC in 2018 before we can draw any conclusions. If you have bad credit, you probably have a credit score in the below 600. Most lenders will review your payment history and see where the problems are. As mentioned above, a late credit card payment or two may not be a big deal, but a late housing payment definitely is. Sometimes having a 600 credit score might lead to you landing in between a ‘bad credit mortgage’ or an “A-paper mortgage’. This can be frustrating because you may be a few points away from a great interest rate and a small down-payment. For argument sake, let’s consider the 600 credit mortgage as a ‘fair credit home loan’. If your credit score is above 620, you will have more options for a home mortgage than if it is below that. A great option for a credit score between 580 and 619 is an FHA mortgage for bad credit. The FHA insured loan is guaranteed by the Federal Housing Administration, which is a US government agency. 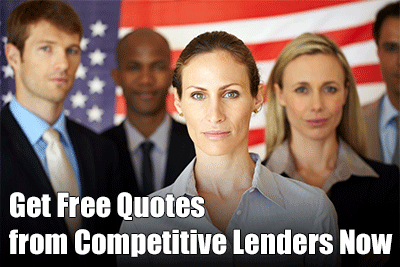 With that guarantee, more lenders are willing to lend to people with average or even bad credit. The minimum credit score on a government mortgage will vary by lender as FHA does not impose minimum credit score requirements. However, most FHA-approved companies do impose their own minimum credit score requirement which typically ranges from 580-620. If you have a credit score of 620 to 640, you may be able to get a mortgage loan in 2018 for just 3.5% down, and a very low interest rate in the 4’s, most likely. These loans also feature flexible underwriting requirements, so you do not need to have a high income or a low debt to income ratio to qualify in many cases. We anticipate that after they GOP-led Congress passes a tax bill, that the Trump administration could refocus their attention to make it even easier to get an FHA mortgage loan for bad credit in 2018, but that remains to be seen. See what you qualify for and apply for a FHA loan today. The most important thing to remember about getting a bad credit mortgage in 2018 is that you may need to refinance it if you have a high interest rate than what’s being advertised in the marketplace. If you are able to get an FHA mortgage with a low rate, this may not be needed. But if you have a very low score and a high interest rate, you will want to get it refinanced as soon as you can. So you should work on getting your credit score raised as quickly as you can. You should try to refinance your bad credit mortgage within two years at the most. Most Americans get a 30-year fixed mortgage, but if you have bad credit, you may want to look at other options. You can get a five year ARM. This means you will have a lower fixed rate for the first five years, and then the rate can adjust. In many instances a 5-year ARM will produce a favorable housing payment with a poor credit mortgage and that gives the borrower almost 60-months to improve their credit rating and refinance into better terms with a fixed interest rate for 10, 15 or 30-years. You should use that five years to get your credit in order, and the sooner the better. There is no way to be certain how high rates will climb in the next few years. There could greater economic activity under a business friendly Trump administration, which could drive prices and rates higher. This is a largely good for the economy as a whole, but you would need to pay a higher rate. You always can get a co-signer on an FHA mortgage if your credit is too poor, which would typically be 550 or so. Just make sure that you have the financial ability to pay the loan or your relative will be on the hook. Make sure to discuss your co-signing options with a bad credit mortgage lender that is approved to originate FHA programs in your region. People who have too poor credit to get a regular mortgage loan can get an owner financed property. 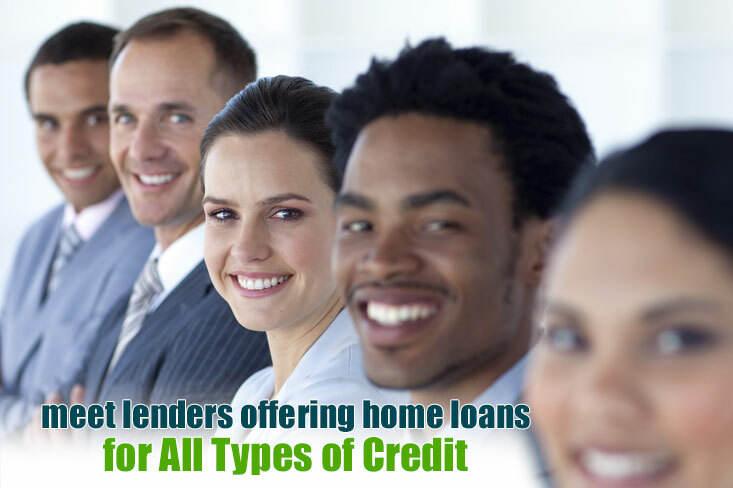 If you are looking for a no credit home loan, then seller or owner financing may be the solution. No credit mortgage opportunities are hard to come by, but seller financing is a great place to start. You will need to put down maybe 10%, and the owner of the home can finance the property to you on regular mortgage terms, such as fixed rate for 30 years. The rate will likely be higher, but you can refinance the loan as soon as your credit improves. Timing is everything when applying for a mortgage with bad credit, and the new lending options are more aggressive than in previous years. You have many options today to get a bad credit mortgage in 2018. Buying a home with bad credit is rarely a simple process, but we definitely see more affordable opportunities on the horizon. We think that it will probably get even easier as the Trump administration starts to change the Dodd-Frank law. Also, FHA guidelines for getting a home loan may be relaxed, and this could make getting a house even easier with bad credit. The subprime mortgage market was pretty much out of business after the 2008 market crash. These days, however, lenders are singing a different tune. More and more lenders and brokers today are offering subprime mortgage loans to help people with buy a home with bad credit. Do you remember the days when you could get a mortgage loan with average to bad credit and put no money down? How about getting a mortgage without documenting your income? It is much more difficult to do these things. But you can get a subprime mortgage with average to poor credit if you have something to put down. Generally, you will need at least 3-5% down to get a loan with bad credit. Some people don’t like having to put money down, but forcing people to have cash in the deal makes it safer for investors and for the markets. FHA insures many loans from bad credit borrowers in the range of 500-640 FICO scores. You have to put down 10% if you have less than a 580-credit score. So, you can get a subprime loan, but you need to have at least a small down payment. This helps you because it reduces how much your mortgage is, anyway. Yes, you can get a loan with below average credit. But no, you cannot usually get a mortgage loan unless your income is documented. We think that a no income loan is worth considering. The problem during the market crash was too many people were trusted to pay loans that did not have any income documentation backing them up. Most people when presented with the keys to a home beyond their financial means, will go ahead and sign the papers and hope for the best. The result was the mortgage meltdown. Many bad credit mortgage lenders disappeared but a few remain and a few new lending sources have emerged. Today, it is still possible to get a mortgage if your credit is in the low 600’s. But you have to show your income in bank statements, tax returns, pay stubs etc. This makes sense – do you really want to get a bad credit home mortgage for a house you can’t afford? Talk about stress! Rates went back and forth last year, but have actually declined in recent days. As of this writing, it is still possible to get an FHA mortgage for a bad credit borrower around 4%. What a fantastic deal! Imagine that you can get a subprime mortgage loan with a rate that low. Of course you have to actually apply for loan from a bad credit mortgage lender to actually determine the interest rate and monthly payment. We anticipate that we will continue to see relatively low interest rates in 2018, but you never know how a rate-hike from the Federal Reserve will be received on Wall Street. You will have to pay for mortgage insurance, but which you prefer: rent for the next several years while trying to get your credit score up for a conventional loan, or buy today and pay $100 per month in mortgage insurance? We go for option #2. Right after the mortgage crash, there were few options for people with credit less than stellar. Today, markets have loosened and you can get many loans with average to bad credit. That’s why now is a great time to speak with non-prime and bad credit mortgage lenders to determine what products are available for your situation. A big reason for this is that the US government now requires that lenders follow certain standards when it comes to evaluating the creditworthiness and income of a borrower. All borrowers have to clearly document what they earn and where they are getting their down payment from. This keeps everyone in the transaction honest, and you know for sure that you can afford the home you are buying. After the mortgage crash, lenders wanted to see a low debt to income ratio. But now, lenders are getting looser with these requirements. Some loans, such as FHA, can be green lighted even if you have a DTI up to 50%. You may need to have a higher down payment or credit score to make that happen though. Today, people with bad to average credit have many more options than they did eight years ago. Even if you have a bad credit event in the last few years, you still may be able to get your loan approved. What bad credit mortgage lenders want to see the most is that you are getting back on your feet financially. Even if you had a foreclosure three years ago, many subprime lenders will overlook it, IF you can show that you are financially stable for the last one or two years. Financial stability and a clear source of documented income is more important for a subprime loan than what your credit score is. If you can keep all of the above in mind, we think that you will be well situated to get approved for a subprime mortgage soon! Now is a great time to to get a second chance loan from lenders that specialize in mortgage solutions for people with poor credit scores. Many people with low credit scores may not even want to apply for a mortgage. How can I get a mortgage with a 580-credit score, they think? It is not necessarily true that you cannot get a mortgage with that type of credit score. There are several government-backed mortgage loan programs that are forecasted to be available in 2018 where people with 600 credit scores may get approved for a loan, if they have financial stability and a minimum down payment. Some of the most popular are FHA-home loans and certain loan programs backed by Fannie Mae and Freddie Mac. But let’s assume that you applied for a mortgage and were denied because of a low credit score. Don’t worry. More people than ever these days are able to get a mortgage with a low credit score. If you make some adjustments and improvements in your financial and credit profile, odds are that you can be a home owner in a year or two. Despite what some people say, it is complete nonsense that you cannot get a home loan with a bankruptcy or foreclosure on your record. Yes, these black marks do stay on your credit for about seven years. But lenders today will somewhat overlook these negative credit histories if you can show that you have recovered financially in the last couple of years. If you were declined because of a foreclosure or bankruptcy, there are two likely reasons. First, if the bankruptcy or foreclosure happened a year ago or less, many lenders will not want to risk that. It is advisable to wait two years before you apply for a home loan after a chapter 7 or foreclosure. If you had a lot of credit card bills on your credit report, this will lower your score substantially. For example, $10,000 in credit card bills with a total $11,000 credit line easily will drop your score by 40 points. Once you have paid off a large chunk of that, your credit scores will rise dramatically. So, if you were turned down because of a low credit score and you have credit card debt, pay off as much of that as you can and reapply in six months or a year. Mortgage lenders can largely overlook poor credit, especially if it is due to onetime bad events, such as a foreclosure. Where they can’t overlook things is when you have a high debt to income ratio beyond what they think is advisable for paying a mortgage on time. Lenders want to see that you are not over extended and will be able to pay your mortgage for years to come. Generally, lenders want to see a total debt to income ratio or DTI under 45%. This means the total debt payments you make each month, including your credit cards, entire mortgage payment, car loans, student loans, etc., cannot exceed 45% of your gross monthly income on your last tax return. If your DTI is higher than that, you may be considered too high of a risk, especially with a low credit score. But once you have paid off some of your debts, and possibly increased your income, you can reapply and probably get approved for a poor-credit mortgage. Having a low credit score when getting a mortgage loan is possible, but it is harder if you have recently been 30 days or more late on a rent or mortgage payment. Traditional lenders know that if you are late on paying for where you live, you probably have serious financial problems. Bad credit mortgage lenders may be willing to take a chance if you have a substantial down-payment or sufficient equity available. You should have at least a solid year of on time rent and/or home loan payments before you re-apply for a bad credit mortgage. It is possible to get a mortgage loan today with only 3.5% down with an FHA mortgage, and Fannie and Freddie have some 3% down programs available. If you did not have enough money to put down before, you may have been turned down for a loan. Or, your credit score was so low that you needed more than 3-5% down to get the loan and didn’t have it. But if you save up more money, or you get a gift from a family member, you may be able to reapply and have no trouble getting approved. Note: The minimum credit score for getting a FHA home loan with 3.5% down is 580. Less than that and you need to have 10% to put down. Lenders want to see financial stability at least as much as a high credit score. If your last 12-24 months has several late payments on car loans or credit cards, this is a bad sign in the eyes of lenders. Get that cleaned up and pay all your bills on time for at least a year and you can probably get approved for a bad-credit mortgage. Getting a mortgage loan with a low credit score today is quite easy. You just need to be able to show lenders that you are currently financially stable. If you can do that, you will be able to reapply soon and probably get approved for your home mortgage.